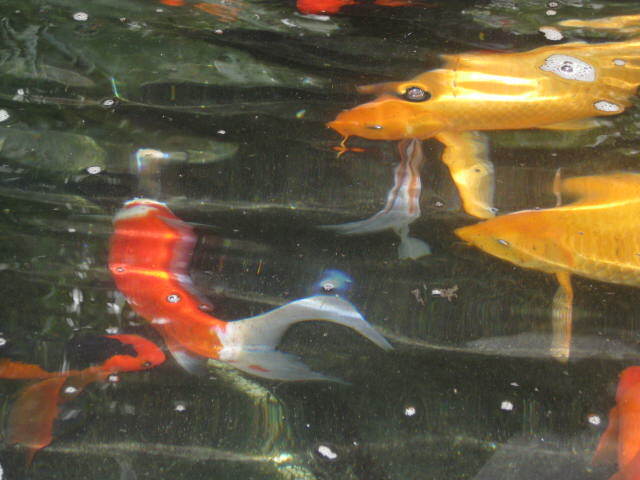 Koifish and goldfish are both members of the carp family. Koi were developed from common carp in Japan in the 1820s and are still very popular there as they are a symbol of Love and Friendship. LOVE and FRIENDSHIP, WELCOME, BIENVENIDOS. 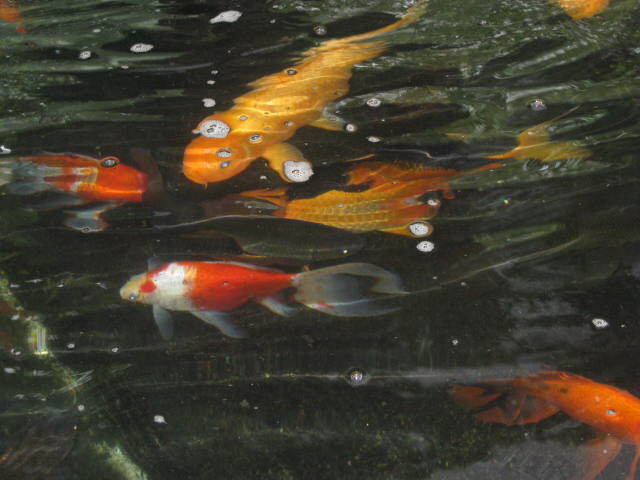 Goldfish tend to be smaller than koifish and have a greater variety of body shapes, and fin and tail configuration. Koifish have prominent barbels on their lip.